Donate Blood & Enter to Win! 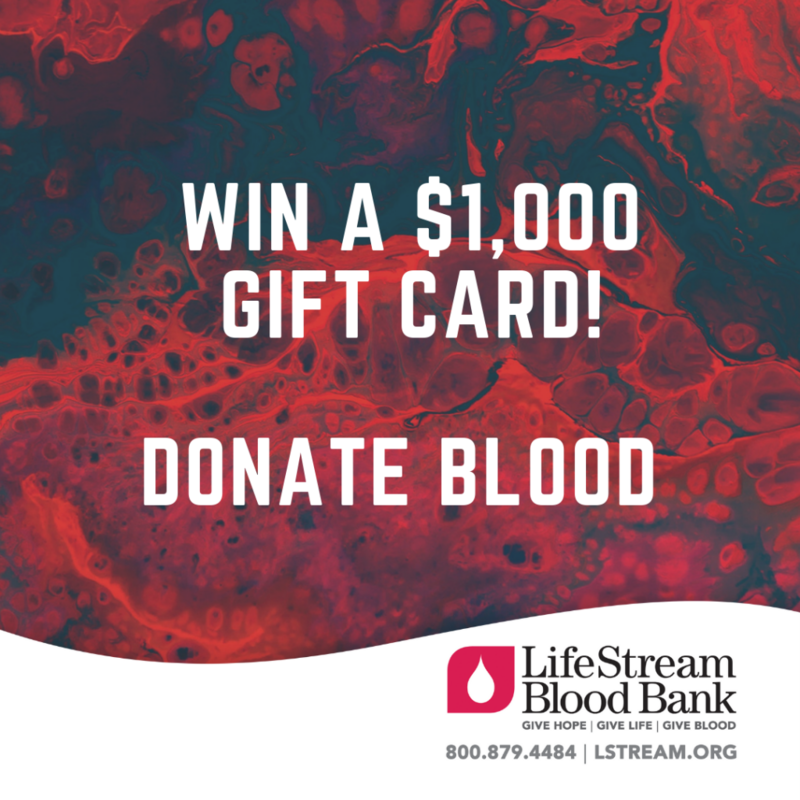 Give blood at a LifeStream donor center or mobile drive January 29-February 14 to be automatically entered for a chance to win a $1,000 gift card of your choice! 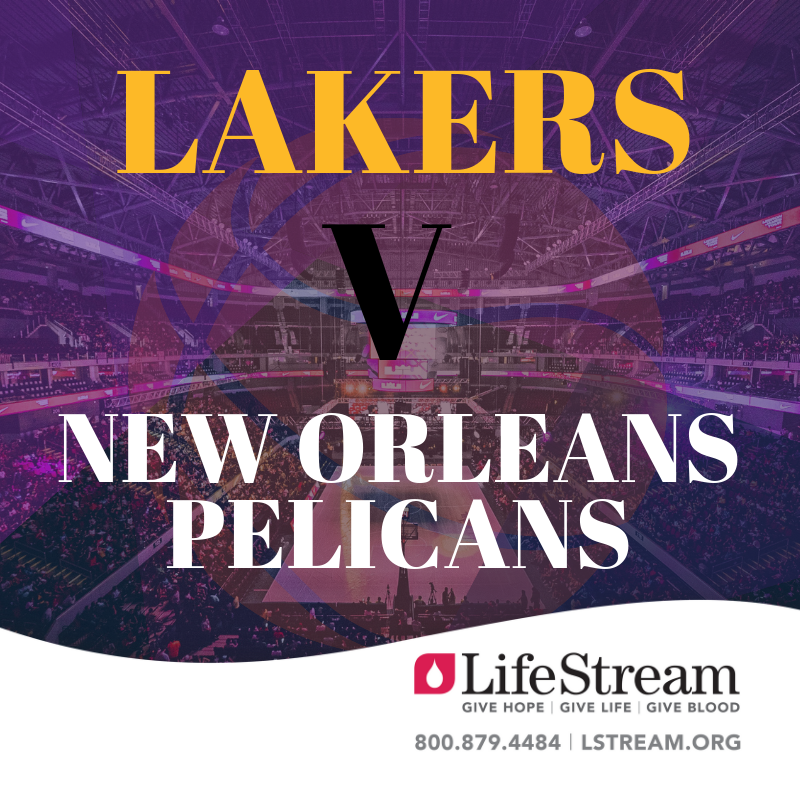 PLUS mention “LAKERS” at registration for a chance to win a pair of Lakers tickets to the February 27 game at Staples Center against the New Orleans Pelicans. Our community’s need for blood products is urgent and immediate. Patients can’t wait – neither should you. Give blood! *Appointments are required for platelets donations. Click below or call 800.879.4484.